When I drive to work, I usually come down Brewster Avenue. As I turn onto Park Street, I see the iconic Class Fence, stretching out of sight in both directions, each section with the date of a graduating class. 170 of them, so far, going back to 1842. 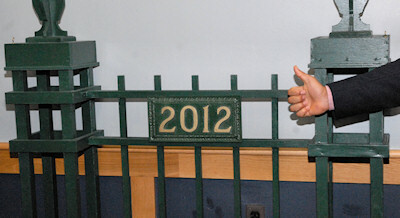 The fence dates from 1916, when Headmaster Joseph Sawyer (served 1896-1919), as part of a campaign to celebrate the school’s 75th anniversary, challenged every class to meet certain fundraising targets. Upon achieving them, the class could put its number on the fence. That’s why the dates are not in order; classes met their goals at different times. The campaign was 100% successful. Even those classes which had no surviving members were “adopted” by other alumni groups. At some point mid-century the tradition changed and classes were awarded plaques at the time they graduated. From this point the numbers are consecutive. 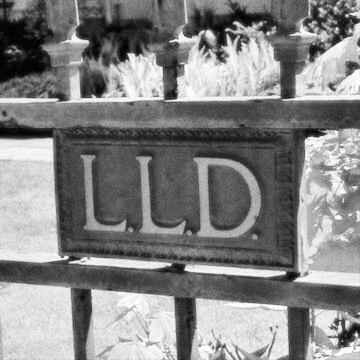 And the mysterious “L.L.D.”? They were one of Williston Seminary’s fraternities. We don’t know much about them; they were a secret society that kept secrets well. The frats were wisely abolished in 1926-28, but not before the L.L.D. alumni achieved a kind of immortality by pledging and contributing to the fund. It might have been the best thing any student ever said to me. And no, it didn’t sound strange at all. Anticipating how future generations of alumnae would feel about Northampton School for Girls, roommates Frances Cashman and Katherine Burnett wrote the ‘Hamp School Song in the very first year, 1924-25. Frances composed the music, Kay the words. The march-like tune and stride piano bass are typical of the popular music of the time. It isn’t sung much any more. We’d like to change that! 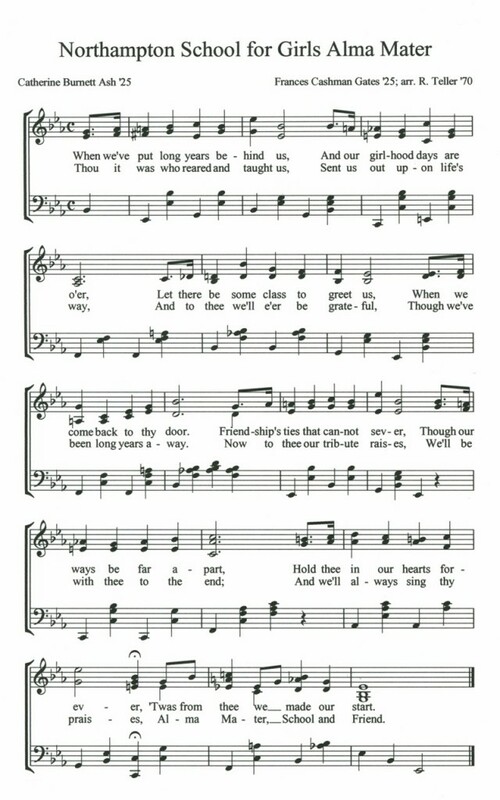 Here are the words and music to the song. by Richard Teller ’70, Archivist and Librarian. Originally published as a “web extra” to the Fall 2011 Bulletin. The idea of a formal statement of mission is relatively new, but schools have always had equivalents, whether found in the prefaces to catalogs or as essential portions of re-accreditation studies. It would appear impractical, if not impossible, to found a school without some kind of declaration of one’s purpose in doing so. 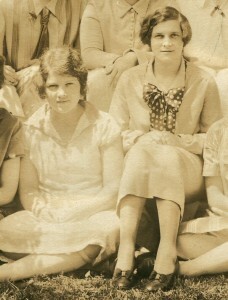 At the time of their founding, both Northampton School for Girls and Williston Seminary, as it was originally called, issued documents that not only set out their plans, but reflected the personalities of their founders.